Since I published the first installment of this series, the project has added some additional key hardware features, controls and yes Safety. This is an auto tracking, target identifying and defensive laser Sentry after all. When the laser head was ordered, with plans to be developed into the first payload, the design was still fluid. Ya, thats a word to use for non existent or said better “details lite”. However, that changed with this gem. The Fat Beam Real 150mW 12 volt 650Mn Red Laser with built in TTL driver board and a cooling fan. Just looking at this unit, I want to break out into the grunts that Tim “The Tool Man” Taylor used to make. Its designed to be bolted to a pan and tilt equivalent design. After its potential has been exhausted, the plan is to upgrade its laser head with the 300 mW doubling our delivery power potentially with mods to the original design. One of the issues with this design, is that the software we are receiving for this project was never designed to specifically control a laser beam. Its designed to turn on and off an RC circuit. After sitting here for a bit, I realized that while the software should easily allow the control of more RC circuits, it needed a triggering mechanism of its own. Their board is designed for 6 channels, so with only 3 in use (pan, tilt, and RC servo trigger), there is obvious spare capacity available. However, since our laser doesn’t exactly arrive with a servo powered trigger, and the waveform of the RC circuit is not conducive to controlling a firing laser directly, there must be an obvious solution. Which leads us to the RC relay controller below. Designed to take RC switching, and deliver controlled power switching of a independent source. This design includes two extra channels of info, which I believe I can hook up LEDs lights to. This provides a feed back for the status of the relay, and if the laser is in fact firing or not. The board above is designed to take the RC inputs of a remote controlled circuit, and switch on and off a real 10 Amp circuit. While small, this is no piece of a toy. You can control real power loads. Now its time to start talking about a bit of safety. 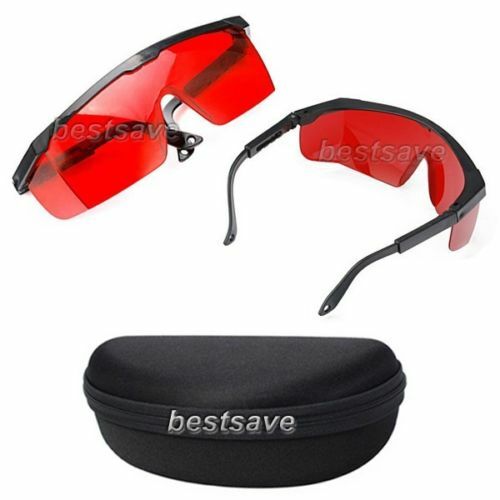 The image below are laser glasses. These are el cheapo’s. Lasers are bright, so much so, pilots get annoyed if people use a hand held pointer at their plane. So it stands to reason, laser operators have required glasses to cut down on the intensity of the beams. Finally there is the kill switch that needs to be designed into the project. This project will need the ability to instantly kill power to the payload laser. In this case. After thinking about it, I am going to build into it, two control circuits. The first button or A) switches the power to the targeting laser. The green light laser that will be attached to the top of the Payload laser. The second circuit or B) circuit, will be wired into the design to control the power to the payload laser. The range is 100 meters on the remote, allowing the sentry to be armed or disarmed from a distance. New total is $278 or so in parts costs or equivalent so far.